Sprouse Bros Pics At Westfield Culver City Mall!!. Some lucky 粉丝 got to meet Dylan and Cole Sprouse at A Million of Shakes Westfield Culver City Mall. 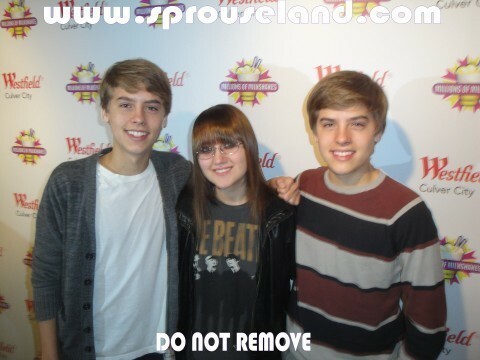 Wallpaper and background images in the 斯普劳斯兄弟 club tagged: cole dylan twins sprouse. This 斯普劳斯兄弟 photo contains 肖像, 爆头, 特写镜头, 特写, and 爆头特写. There might also be 休闲服, 休闲装, 外衣, 上衣, 户外休闲服罩衣, 最佳, and 返回页首.